It is 18 June and the lobby of the Park Inn Hotel in the heart of the Azerbaijani capital, Baku, is crowded and loud. The occasion is a conference organized by an NGO coalition formed recently to discuss proposed amendments to the existing legislation on NGOs in Azerbaijan. The atmosphere is tense, as are the NGO representatives and opposition party leaders...and they have a right to be. If the proposed amendments are passed, freedom of association will be seriously undermined and civil society will soon disappear. Little did they know that their efforts would end in a rare victory. The proposed amendments were made public on 8 June and approved by the Committee on Legal Policy the next day. The amendments were due before the national parliament on 19 June - a rather quick turnaround, especially considering the slow pace of discussions over a proposed Law on Domestic Violence (which still hasn't passed). However, the discussions over the amendments were then postponed for 30 June. Leaders of the NGO community, responding immediately, formed a committee named "In Defense of Civil Society." Together with international institutions such as the Council of Europe, Amnesty International, Human Rights Watch, Freedom House, American NGOs working in Azerbaijan - NDI, IRI, IREX- and local NGOs, a number of appeals were written to President Aliyev, each expressing concern over the proposed amendments to the law on NGOs. As a result of concerted action, the majority of critical amendments were withdrawn from the bill as discussed on 30 June. However, it was a tough fight. When the amendments were initially announced, reaction from the civil society in Azerbaijan was fierce, as was the reaction from the NGO community. "First it started with curbing the opposition parties, then it was the media, and now us!" said the head of women's rights protection association Novella Jafaroglu in an interview. Director of the Baku-based Peace and Democracy Institute, Leyla Yunus, added that "the proposed amendments are designed to eliminate independent NGO activity and stall development of civil society." During the conference organized by the NGO coalition on 18 June, an opposition leader, Ali Kerimli, was succinct about what he thought the amendments envisioned: "This NGO law has simply one aim - to abolish all NGOs and force existing or new NGOs to register as Government NGOs (GONGO) or, basically, to abandon what you have." Moreover, local civil society groups feared that Azerbaijan might be left with a similar situation to that currently facing Belarus and Uzbekistan where there are no independent NGOs left. 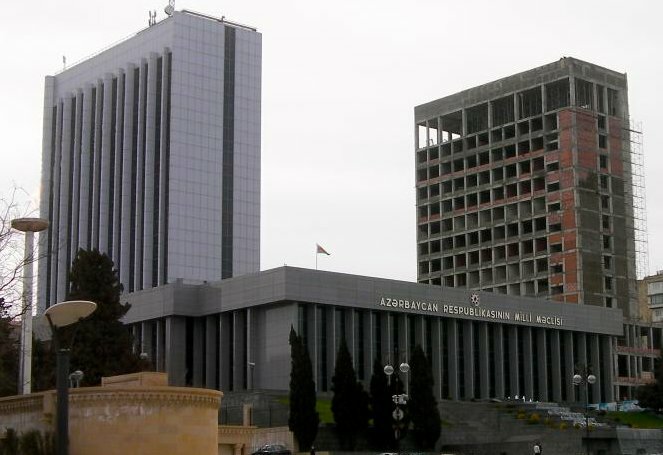 - Opening of branches by international institutions - foreign organizations would not be allowed to open up branches without a signed agreement between the NGO country of origin and the Azerbaijani government. However, the government fails to specify the "kind" of agreement. The government response was even more disturbing. Ali Hasanov, head of the presidential administration's Policy Analysis and Information Department, said that the amendments were never meant to restrict activities of local civil society. "Frankly speaking, I cannot understand the concerns of the NGOs," he said during a press conference. "The amendments to the law will not create problems for existing NGOs." Hasanov's further reassurance that the amendments meet "international standards" raised even greater concern among international institutions. The proposed changes not only contradicted Azerbaijan's own constitution but, according to a press release from the Institute for Reporters' Freedom and Safety (IRFS), they also contradicted the country's international obligations towards the European Convention on Human Rights and Fundamental Freedoms, the International Covenant on Civil and Political Rights, the country's commitment to the European Union Eastern Partnership, the Council of Europe and the OSCE. And yet, while the parliament nixed the majority of the above-mentioned changes, worry remains over the long-term implications of the law. Approved changes include the following: NGOs are required to inform the respective authorities about their members, NGOs headed by foreign nationals are required to have an Azeraijani acting as a Deputy, and the requirements for the "signed agreements" between the Azerbaijani government and foreign NGOs remain vague and have yet to be clarified. And while the local NGO community is relieved, there is some dissatisfaction and worry that the war is not yet over. As Ilgar Mammadov, co-founder of the Republican Alternative Union and a member of the committee In Defense of Civil Society says, it is "not that we won...the government has seen the strength of civil society and may decide to crack down on civil society through administrative measures so there is not such a strong and powerful resistance in the future."